These mattress toppers are made from the highest quality Vytex 100% Natural Latex. Using a multi-patented, non-toxic process Vytex virtually eliminates all of the antigenic problem-causing proteins that can result in an allergic reaction to natural rubber latex without the use of the harmful chemicals typically found in non-latex alternatives. Not happy with your current mattress? These mattress toppers allow you to "customize" the feel & firmness of your bed, at the fraction of the price of a new mattress. Available in multiple sizes and 3 different firmness levels (Soft, Medium & Firm) to allow you to choose the support and feel that's best for you. PURE CLEAN ALLERGY FREE: Made with Vytex Natural Latex, a revolutionary patented formula that removes all allergens for a healthier sleep. COOL BREATHABLE COMFORT: The ventilated design allows for a cooler sleep. Latex has a natural air flow which discourages moisture and heat buildup. 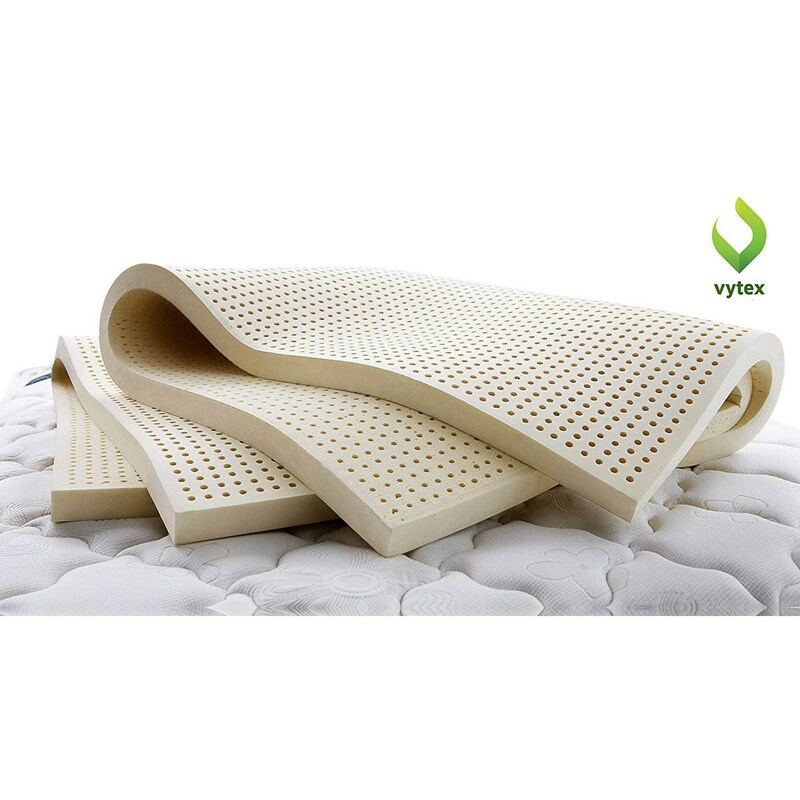 UPLIFTING SUPPORT: Float instead of sink as Vytex 100% Natural Latex gently conforms to your body, providing better pressure relief and keeps you on top of the mattress. CONSISTENTLY COMFORTABLE & DURABLE: Pure comfort and support. Our natural latex offers a consistent and even sleep surface for the same comfort and feel no matter where you are on the mattress. SUSTAINABLE RESPONSIBLE ENVIRONMENTALLY FRIENDLY: Ecologically-minded and made from naturally derived, renewable resources. The Vytex Mattress Toppers - Medium Queen 1-Inch Medium 100% Natural Latex Mattress Topper by Vytex at Rotmans in the Worcester, Boston, MA, Providence, RI, and New England area. Product availability may vary. Contact us for the most current availability on this product. Browse other items in the Vytex Mattress Toppers - Medium collection from Rotmans in the Worcester, Boston, MA, Providence, RI, and New England area.